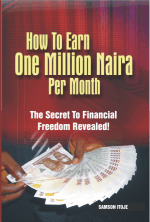 There is money waiting to be made in real estate investing wherever you are in the world. The same is true for Nigeria. This months Real Estate Guide newsletter takes a look at how to make money from real estate. A number of people have emailed me requesting information about how to set up a real estate business. Consequently, I wrote an article explaining the basics. If you are interested in becoming a real estate agent, click HERE to read the article. Money is about the single most discussed subject in the world. stopped looking for ways to make money. Unfortunately, not everyone makes as much money as they expect. Of course, tehre are some who make a lot more than others. 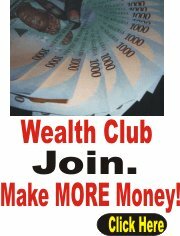 I have created a money forum where folks can share their best strategies for making money online and offline. This is an opportunity for you to help fellow Nigerians. The question is: "How are you making money to sustain your family?" Please share your strategies in the money forum. Help and be helped. The following properties are available for sale. 1. 3 bedroom flat on one plot of land for sale at Daluwon near Mowe Ogun state Nigeria. The 3 bedroom flat is set back and there is space in front to build another property.